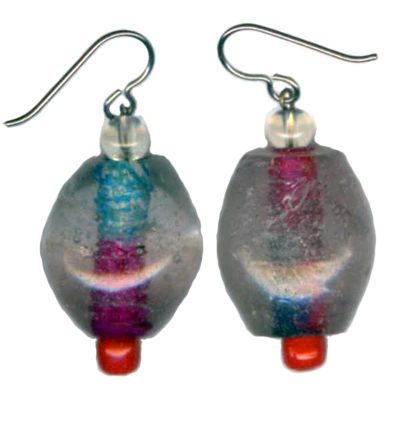 We are pleased to offer earrings showcasing the distinctive creations of Winsome of O.Squared Jewelry. 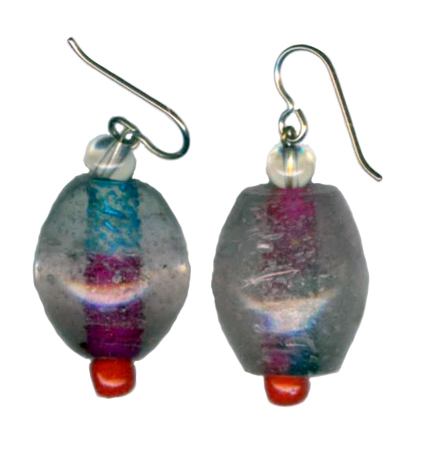 Unique oval glass beads, offset with red accent beads to give a true pop of color, suspended from titanium earwires. Made with titanium shepherd hook style earwires, these earrings are suitable for metal sensitive ears. The titanium is certified grade 1 pure titanium.